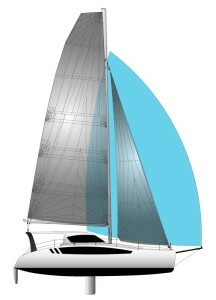 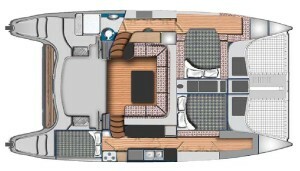 The 1190 Sport has been developed for sailors looking for performance without compromise on comfort and range. 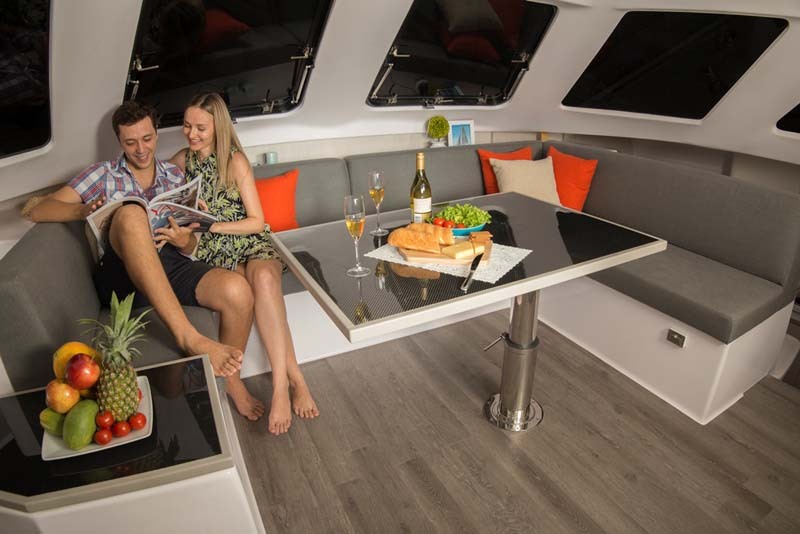 The 1190 is a variant of the popular 1160 cruising range and has been optimised by Francois Perus in collaboration with Alan Carwardine, two of the industry’s leading multihull designers. The 1190 Sport offers all the advantages of a modern sports catamaran without losing the ability to also perform as a long distance cruiser. 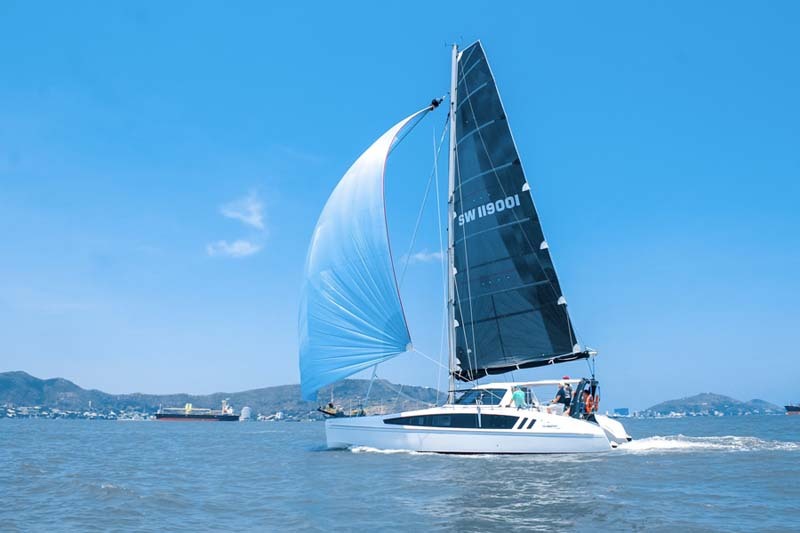 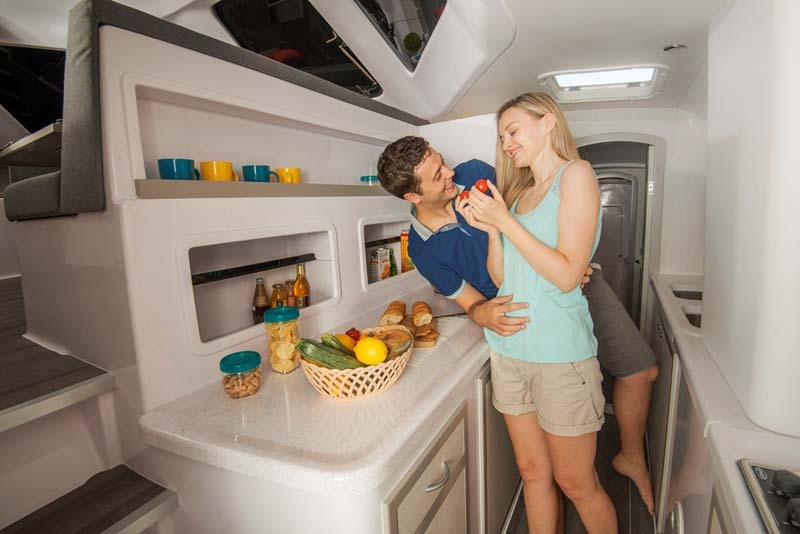 The overall finish of the Seawind 1190 Sport will be consistent with that of the well known and loved 1160 range with only the highest quality equipment used throughout. 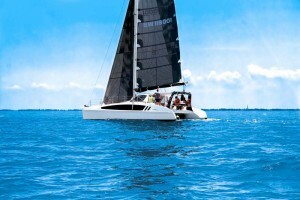 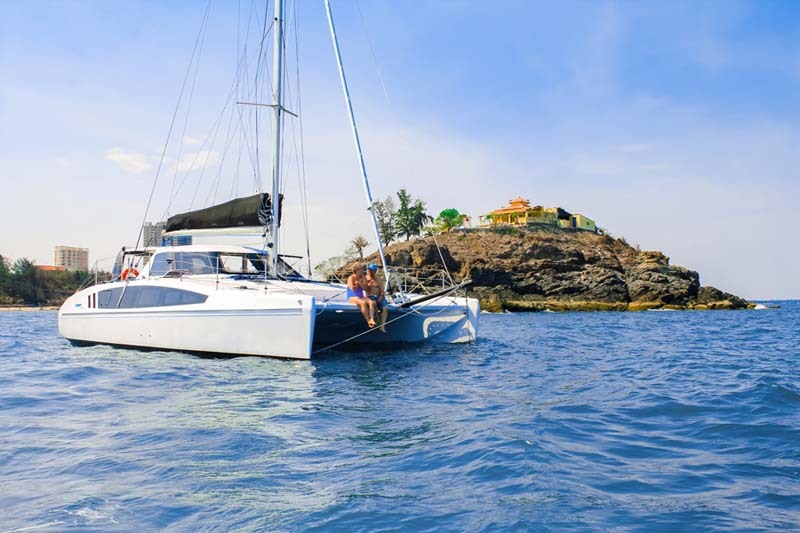 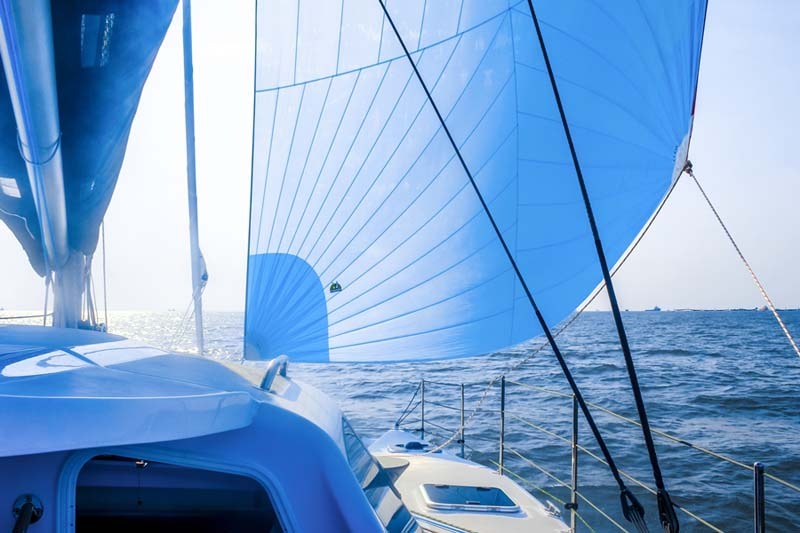 The overall concept of the 1190 sport is for a competitive sports catamaran at a level of construction, workmanship, equipment, fitout and style that surpasses any other available in the market at this price range.